This is a commercial (Class 3 | Cat 1) loss. A 6″ fresh water pipe on the 16th floor experienced a catastrophic failure. Water quickly filled the elevator shaft, and when the elevator rapidly descended, it displaced water with such force that several of the window panels on the exterior of the property were partially popped out and they required immediate attention. This is a complex operation that demanded several types of scaffolding to resolve and secure the building such that the risk of additional glass panels falling from the sky was otherwise mitigated. The main swing scaffolding was flanked by one Bosun swing operator that was used to scout out the optimal route for the swing scaffolding. The Bosun swing was crucial, as this set-up allows for unencumbered lateral movement to visually inspect the affected window panels. Crews worked both inside and outside simultaneously. The window panels were 16′ high. 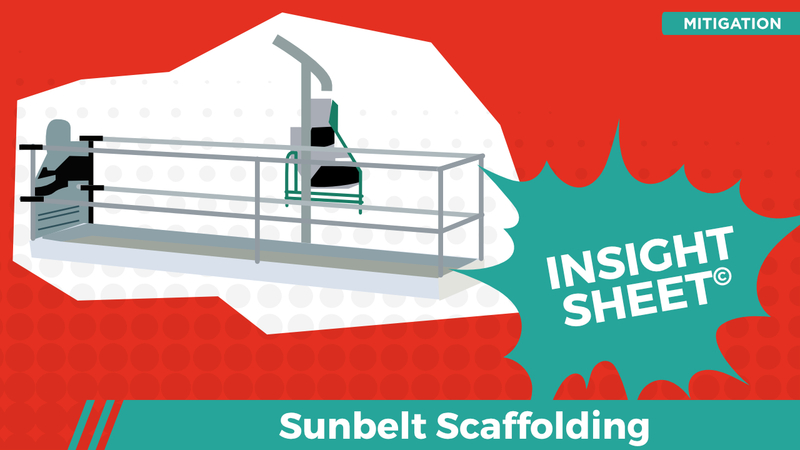 The crews inside used traditional Trestle Scaffolding to support the exterior activities. Single Scaffolding was deployed to provide cover for the sidewalk below in addition to providing easy access to the first two floors. 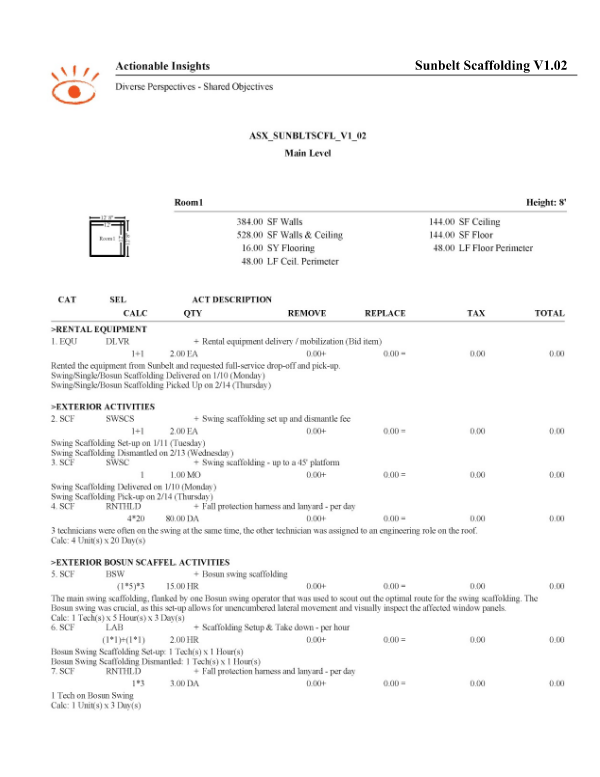 This Insight Sheet exists to clarify how one might invoice for scaffolding activities. This does not seek to include or make concessions for all equipment and/or activities as it relates to a loss of this nature.